Published: March 10, 2015 at 07:41 p.m. 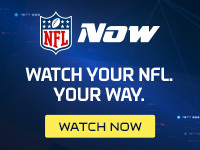 Updated: March 10, 2015 at 07:54 p.m.
For the third consecutive offseason, the Indianapolis Colts are attempting to fix a defense that has lacked a backbone versus quality competition. Indianapolis has agreed to terms with former Philadelphia pass-rusher Trent Cole and former Rams defensive tackle Kendall Langford, the team announced. Colts general manager Ryan Grigson was with the Eagles organization when Cole was drafted in the fifth round in 2005. Cole was cut by Philadelphia last week after sides couldn't come to an agreement on a reduced salary. A two-time Pro Bowl selection, Cole generated 85.5 sacks and 19 forced fumbles in 10 seasons in Philly. While he hasn't topped eight sacks since 2011, the 32-year-old can still bring pressure. His versatility -- having played in both a 4-3 and 3-4 defense with the Eagles -- will boost a Colts front in need of harassing the quarterback. Langford lost his job to Defensive Rookie of the Year Aaron Donald after starting 90 games from 2008 through the beginning of last season. Still on the right side of age 30, Langford will kick out to defensive end in Chuck Pagano's 3-4 scheme while Cole will align as a bookend edge rusher opposite Robert Mathis. Time will tell if the reinforcements can help keep the Patriots' ground attack under 200 yards in a pivotal game.